Chin P'ing Mei: The Adventurous History of Hsi Men and His Six Wives Volumes I and II. By Intro by Arthur Waley. New York: G. P. Putnam's Sons, 1940. First Edition Thus Cloth Near Fine 8vo (6 x 8-3/4), total of 862 pp in 2 volumes. Books are UNMARKED and NEAR FINE -- slight tanning in page gutters. Covers are buckram cloth, normal soiling and age-darkened on spine. (h) Good translation holds up well, the story still quite readable. 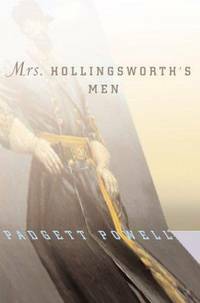 The book is historically famous for being a racy tale. New York: Richard Seaver / Viking , 1973. First Edition, First Printing Glossy Pictorial Cover AS NEW in FINE DJ 8vo (5-3/4 x 8-1/4), 168 pp. Hardbound book is FINE -- Unread, Unmarked and AS NEW in NEAR FINE glossy pictorial DJ perfect other than slight age tanning, now protected in Bro-Dart cover. Brown cloth cover has title and author's name in white on spine and a square incised in black with the silhouette of a cockroach. Much of David Cronenberg's film of Naked Lunch came from this novel. As Mr Cronenberg put it: "To do a faithful movie of Naked Lunch would cost 400 million dollars and be banned in every country in the world." But the themes of Exterminator! are consistent withthose of Naked Lunch. New York: Tor Books, 2004. First Edition, First Printing Boards AS NEW in AS NEW DJ 8vo (5-3/4 x 8-3/4), 223 pp. Book is FINE -- Unmarked, Unread, and AS NEW other than black remainder dot on bottom. Pictorial DJ is FINE -- AS NEW. Great, an only slightly loopy story with more truth and reality than fantasy. 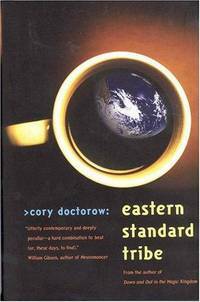 This book made me a fan of Mr Doctorow. 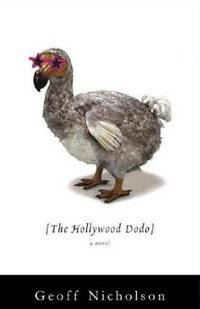 The Hollywood Dodo: A Novel. New York: Simon & Schuster, 2004. First Edition, First Printing 1/4 cloth AS NEW in AS NEW DJ 8vo (5-1/2 x 8-3/4), 323 pp. Hardbound book is FINE -- Unread, Unmarked (except for remainder mark on top page block) and otherwise AS NEW in AS NEW glossy pictorial DJ. (h) Hollywood dreams with innocent aspirations and corruption tempting at every turn. Tragic if it's happening to you, outrageously funny to read about it happening to a fictional character. Outside the Dog Museum: A Novel of Love, Death, & Architecture (SIGNED, 1st). New York: Doubleday, February 1992. First Edition, First Printing 1/4 cloth AS NEW in AS NEW DJ 8vo (6-1/4 x 9-1/2), 243 pp. Book is FINE -- Unread, Unmarked (other than author's signature on title page) and AS NEW in AS NEW glossy pictorial DJ. (dc) Harry is prize-winning architect, who can take any job he wants. And he flipped out. Now that he's putting his life back together, The Sultan of Saru wants him to build a Dog Museum. The budget? A billion dollars. Woodstock, NY: Overlook Hardcover, 2000. First U.S. Edition 1/4 cloth AS NEW in AS NEW DJ 8vo (6-1/4 x 9-1/4), 280 pp. Hardbound book is SIGNED by author on full title page but not inscribed or dated. FINE, Unmarked (other than remainder mark on bottom), Unread and otherwise AS NEW in AS NEW pictorial DJ. First US Edition. (h) Mr Bailey has received the E.M. Forster Award from the American Academy of Arts and Letters and the George Orwell Memorial Prize. Two of his novels were short-listed for the Booker Prize. A brilliant writer. Tongues of Angels (Signed & Inscribed by the Author). Lincoln, NE: iUniverse, 2003. First Edition Thus Glossy Pictorial Wraps AS NEW in WRAPS 8vo (6 x 9), 208 pp. Book is FINE, unread, unmarked (except for author's signature and inscription on the title page), and AS NEW in glossy pictorial wraps. (h) A young priest, a young woman, and another priest, this one gay. 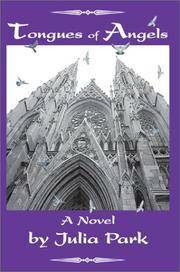 Not a superficial potboiler but a funny and poignant look at Catholics thrying to live up to the standards they believe in. 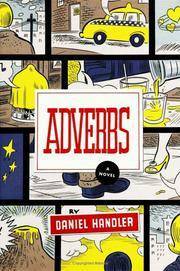 Adverbs: A Novel (SIGNED & Dated). New York: Ecco, 2006. First Edition, First Printing 1/4 cloth AS NEW in AS NEW DJ 8vo (5-3/4 x 8-1/2), 272 pp. First Edition is Unread, Unmarked (except as noted below), and AS NEW in AS NEW pictorial DJ. (h) Pre-Signed by the author on a title page specially bound by the publisher. This is an adult novel by the man who is also the author of the Lemony Snicket series. There is a remainder mark on the bottom page block. New York: Farrar Straus & Giroux , 1991. First Edition, First Printing 1/2 cloth AS NEW in AS NEW DJ 8vo (6-3/4 x 9-1/2), 835 pp. Hardbound book is FINE -- Unread, Unmarked and AS NEW in AS NEW glossy pictorial Unclipped DJ (with one tiny ding on lower front corner). 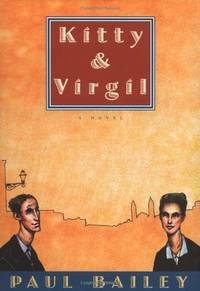 *h) This was the first novel of the masterful short story writer, anticipated for some time before publication in 1991, a major work of American literature. London: Bloomsbury Publishing PLC, 2003. First Edition, First Printing Cloth AS NEW in AS NEW DJ 8vo (6 x 8-1/2), 207 pp. Hardbound book in black cloth, Unmarked, Unread, and AS NEW in AS NEW pictorial DJ. (h) A magical novel of love and desire by the author of "The Bat Tattoo," "Turtle Diary," "Riddley Walker," "The Lion of Boaz-Jachin and Jachin-Boaz" and quite a few other books, each of which has a magic all its own. New York: Bloomsbury USA, 2002. First Edition Thus Pictorial Wraps AS NEW in WRAPS 8vo (5-1/2 x 8-1/4), 214 pp. 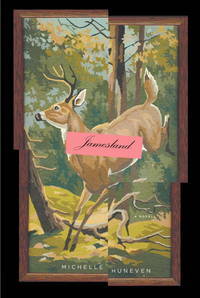 Paperbound book is FINE -- unmarked, unread, and AS NEW in AS NEW pictorial wraps. Signed by the author on the title page. (h) Maybe it's because I came from Philly a long time ago -- same home town as Mr Johnson -- but I don't think so -- this novel moves and sings like music. 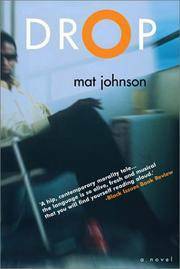 Mr Johnson has a lot to say and he says it so you want to keep listening. New York: Simon & Schuster, 1998. First Edition, First Printing Glossy Pictorial Wraps AS NEW in AS NEW DJ 8vo (6-1/2 x 9-1/2), 316 pp. Hardbound 1/4 cloth edition is FINE -- unmarked, unread, and AS NEW in AS NEW glossy pictorial dj. 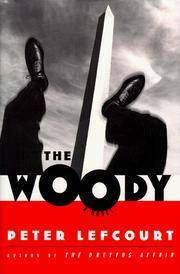 (h) Peter lefcourt is one of the funniest men on the planet, and following on "Di and I" and "Abbreviating Ernie," and "The Dreyfus Affair," The Woody keeps raising the bar for his happy readers. The senator discovers he has erectile dysfunction in a foreign tryst with a lobbyist from the condom industry, and any word of his E.D. could destroy his re-election bid. Classic Lefcourt -- starts off improbable and quickly escalates to truly insane -- all the while being so true to the way things actually work, it's terrifying. New York: Knopf, 2003. First Edition, First Printing 1/4 cloth AS NEW in AS NEW DJ 8vo (6 x 8-1/2), 384 pp plus Acknowledgments. Hardbound 1/4 cloth book is FINE -- unmarked, unread, AS NEW in Unclipped AS NEW pictorial DJ. Gift quality. (h) A powerful novel, simultaneously funny and unsettling. Evanston, IL: Row, Peterson and Company, 1958. First Edition Cloth Very Good. No DJ 8vo (7 x 8-1/2), 96 pp. Hardbound book is Very Good, X-library with markings and lending pocket inside back cover. No DJ. Some slight ink marks on front and back of red cloth cover. Text is very good, with 2 pages having been dog-eared, otherwise excellent and unmarked. Oh -- Skedaddle is Jumping Johnny's mule, and the mule song and music are on the last page of the book. New York: Houghton Mifflin , 2000. First Edition 1/4 cloth As New in As New DJ 8vo (5.5 x 8.5), 134 pp. Hardbound copy is FINE -- Unmarked, unread and AS NEW in AS NEW pictorial dj. Book is SIGNED and DATED (11/26/00) by the author on the title page with a notation of one word that MAY be Lemuria. A very funny novel of what is usual a somber subject in the South -- the War Between the States. 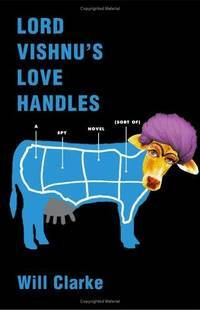 Lord Vishnu's Love Handles: A Spy Novel (Sort Of) -- SIGNED. New York: Simon & Schuster, 2005. First Edition, First Printing 1/4 cloth AS NEW in AS NEW DJ 8vo (5-3/4 x 8-3/4), 292 pp. Book is Unread, Unmarked (other than remainder mark on bottom page block) and AS NEW in AS NEW pictorial DJ. (h) Signed in blue marking pen on title page, author drew a line through his name printed in type, signed just below it . 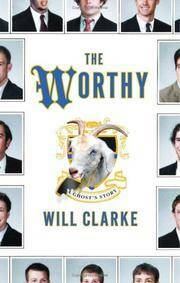 The Worthy: A Ghost's Story (SIGNED). New York: Simon & Schuster, 2006. First Edition, First Printing 1/4 cloth AS NEW in AS NEW DJ 8vo (5-3/4 x 8-3/4), 240 pp. Book is Unread, Unmarked (except as noted below) and AS NEW in AS NEW pictorial DJ. (h) Author signed on the title page -- drew a line through his name printed in type and wrote signature below oin black ink. Remainder mark on bottom page block. New York: The Dial Press, June 2003. First Edition, First Printing 1/4 cloth AS NEW in AS NEW DJ 8vo (6-1/4 x 9-1/4), 304 pp plus Author's Note and Acknowledgments. Brilliant first novel is FINE -- AS NEW in AS NEW pictorial DJ and SIGNED by the author on the title page. First edition with complete number line. (h) Two stories intertwine in this book . One concerns Elsa Pendleton, the first researcher who arrives there in 1913 to study the MOAI -- the gigantic stone face statues that are synonymous with the Island, and who discovers the rongorongo tablets, wooden tablets with unknown writing on them. The other begins 60 years lateras Dr. Greer Farraday, an American botanist goes there to study the angiosperm pollen dating from when the island was forested with palms and also, with a cryptographer, tries to decipher the rongorongo. 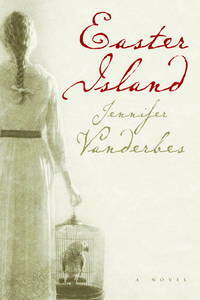 Ms Vanderbes and "Easter Island" have been hailed and applauded around the world, and the novel was chosen as a Best Book of the Year by both The Washington Post and Christian Science Monitor. Wasted Beauty: A Novel (SIGNED). New York: Simon & Schuster, 2005. First Edition, First Printing Hardcover AS NEW in AS NEW DJ 8vo (5-3/4 x 8-3/4), 260 pp. 1/4 cloth hardbound book is Unread and with one exception, AS NEW in AS NEW DJ and signed by the author on the title page. (h) The exception -- book may have a remainder mark on the bottom, otherwise Unmarked. The beautiful naive farm girl from upstate who sells apples in Manhattan becomes a model and meets the doctor ... passion and obsession and destructive love ensues. 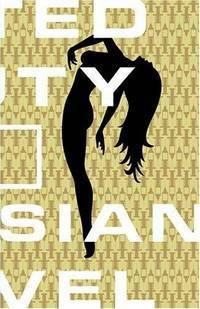 Publisher's Weekly said: "It's a great guilty pleasure of a story line...and Bogosian fills it with fresh, frank turns of phrase..."